Dr. Caster is one of the few sub-specialists in the United States to dedicate his practice exclusively to Lasik laser vision correction and all of its variations. He is one of the most experienced and knowledgeable physicians in the United States in this field. Dr. Caster believes strongly in super-specialization. When you focus all of your energy and dedication to one specific discipline, you learn to do it very, very well. 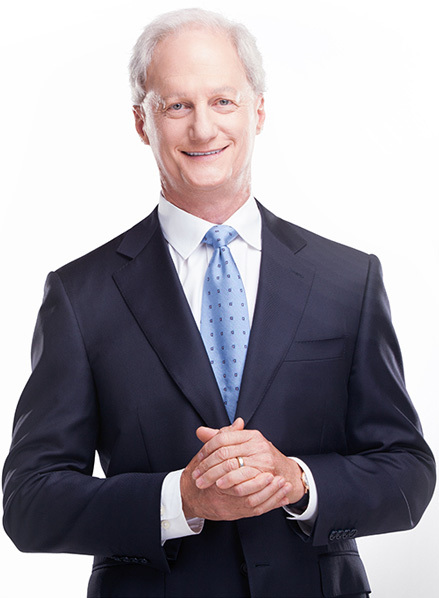 Dr. Caster has performed over 30,000 laser vision correction procedures. Dr. Caster was one of the twenty doctors who performed the initial Lasik treatments evaluated by the FDA for its approval of Lasik in the 1990s. Many world-class professional athletes in basketball, baseball, football, tennis, golf, boxing and soccer have entrusted Dr. Caster to improve their vision and performance with Lasik. His patients include World Cup soccer stars, NBA champions, the NFL Defensive Player of the Year and a boxing world champion, as well as numerous other professional athletes and coaches. Dr. Caster had his own vision corrected with Lasik in 1996. This personal experience helps him to understand your needs and concerns in a very personal way. To see more of Dr. Caster’s credentials, please click here. Dr. Caster is the author of Lasik: The Eye Laser Miracle, published by Ballantine/Random House, now in its fifth edition. 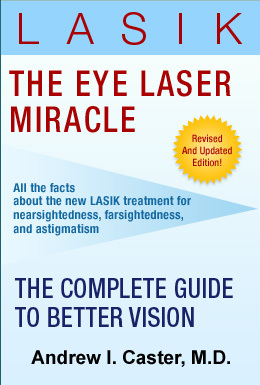 This book has been used by eye doctors across the United States and has become the most widely-read book in the United States on the subject of laser vision correction. Dr. Caster performed his pre-medical education at Harvard and his medical education at Harvard Medical School. 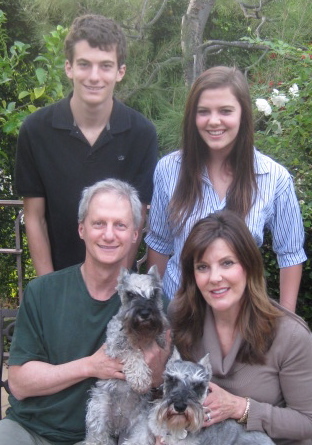 His eye surgery residency was at the UCLA Jules Stein Eye Institute. From a very young age, I always wanted to be a doctor. I also wanted to work with people and to do work that helped other people. So medicine became a natural career pathway for me. I grew up in Florida. In tenth grade I became nearsighted and started to need glasses. Later I began to use contact lenses. Having this personal problem with my own vision played a role in steering me toward eye surgery and then later the subspecialty of Lasik laser vision correction. I could not be more happy with what I do — it is incredibly satisfying to make so many people so happy each and every day. I am very lucky to be able to help people in such a significant way. Jacqueline and I have been married for more than twenty-five years. We have two wonderful children, Bryce and Jocelyn, who are now both finished with college. So we are empty nesters. My wife Jacqueline is the founder and director of an innovative non-profit organization (Everychildfoundation.org) dedicated to improving the lives of disadvantaged children in the Los Angeles area. When not working I enjoy traveling, sports, and experiencing the beautiful Southern California outdoors. 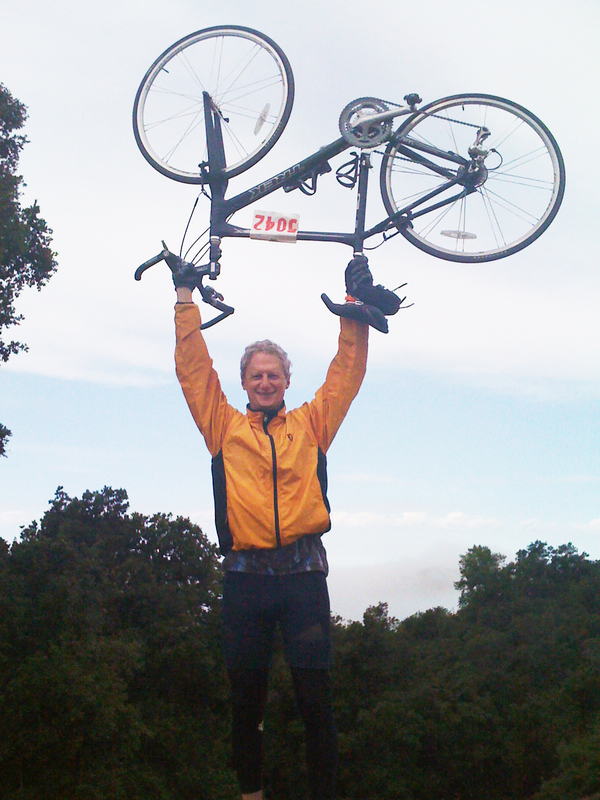 I like to be active — mountain biking, hiking, skiing, and playing golf. These activites have all been made so much easier and more enjoyable since my own Lasik vision correction treatment in 1996. I love being able to participate in activities without the hassle of glasses and contacts. I remember so well the first time I knew that I needed glasses. I was in high school playing a basketball game, and I could not see the uniform numbers of the players on the other team, so I didn’t know which player I was supposed to defend. The coach was screaming at me — really screaming at me! — but I just couldn’t see who was on the other team. The next day I got my first pair of glasses and I could see again! I didn’t know until then what I had been missing. But the glasses were not good for my social life and were not good for sports. So before long I got fit for contact lenses, which I liked much better than glasses. My first contact lenses were gas-permeable lenses. Getting used to the gas-permeable contact lenses was sort of like a medieval torture, but I survived. First you would wear them one hour a day, then two, then three. They really hurt at first, but after a few weeks your eyes gets used to them. Soft contact lenses became available a couple of years later and I happily switched. I always took my soft lenses out to sleep, but I must confess that I wasn’t as careful with them as I should have been. I was young, and who really is as careful with the contacts as they should be? Knowing what I know now, that the proper care of contacts is really, really important in avoiding very serious eye infections, I am quite lucky that I never developed a corneal infection. When Lasik became available, I was very excited, as a doctor and as a patient. As a doctor, I traveled to other countries where Lasik was being developed before it was approved here in the United States and learned from the world’s most experienced doctors. I then became part of the FDA approval process in the United States, teaming with 19 other doctors to perform the studies to get the initial FDA approval for Lasik in the United States. As I was seeing these fabulous results, I wanted to get my own vision corrected. So in 1996 I had Lasik, performed by my friend and colleague Steven Slade, MD in Texas. At that time, it was standard practice to treat one eye one day, and the other eye the next day. During the treatments, I felt some pressure and watched a flashing light. It was really easy. I can appreciate how patients are often very anxious, but that is mainly because this is a strange experience for patients. I knew everything that was going on, how safe and accurate the procedure is, and because of this I really was not very nervous. More excited nervous than scared nervous. And it was very quick. After each treatment, I went back to the hotel and took a nap. There was just the smallest amount of scratchiness, but no pain. The next day my vision was amazingly clear. I hadn’t seen this clear since I was a kid. And I didn’t even have on any glasses or contact lenses — these were my own eyes seeing. It was hard to wrap my mind around what an amazing thing had just happened to me. I had always had a little doubling of my vision in my left eye because of my astigmatism, and I continued to have this slight doubling even after the Lasik treatment. After a few months this mostly, but not completely, went away. Still, it was better vision than I had with my glasses or contact lenses, and now I no longer had to deal with the glasses and the contact lenses! I know well that after a few months, a person almost forgets how much of a hassle it was to constantly “put on” and “take off” your good vision. Or how much of a hassle it was to get your glasses dirty or to have irritating contact lenses. For me, that was now more than twenty years ago. Since I get to perform this miracle daily, I do not forget my own experience and my own pleasure with the Lasik experience. I could not be happier! Dr. Caster performed Lasik as a part of the original FDA Lasik approval process and he has been involved in many of the advancements that have occurred over the past twenty years. By being involved in the industry on this level, we stay aware of all of the newest advances and help to improve results for everyone. Research on the results of each of the most commonly used lasers, including the Visx and Alcon Allegretto lasers. Performed Lasik treatments used for initial FDA approval of laser treatment for nearsightedness with and without astigmatism, followed by studies for farsightedness with and without astigmatism. Documented the improved results obtained with custom Wavefront technology. One of the first doctors to develop and use regression analysis to improve the formulas for Lasik laser vision correction. Demonstrated the accuracy and safety of Lasik in patients with thinner corneas. Analyzing and improving the techniques for Lasik enhancement procedures.